Join us for a day-long Safety at Sea Seminar designed and conducted by sailors and experts in their fields! 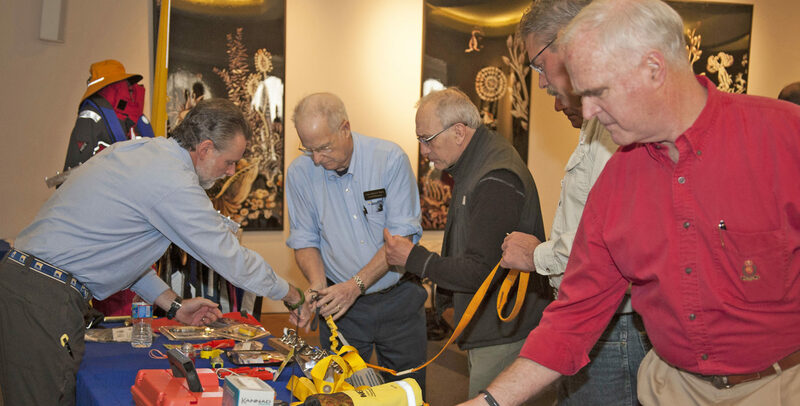 The seminar provides both novice and experienced mariners alike with the information and skills required to sail the Chesapeake Bay or offshore, handle heavy weather, conduct rescue procedures and much more. This seminar is the most comprehensive near coastal safety at sea program offered in the Hampton Roads area. 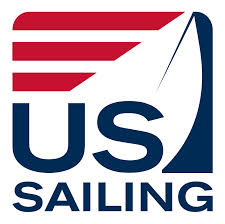 You’ll also earn an official Near Coastal Safety at Sea Certification* from US Sailing! The fee covers lectures, demonstrations, course materials, Near Coastal Safety at Sea Certification and lunch. Please register early to ensure availability. This seminar is open to all cruising and racing skippers, crews & their families, recreational boaters, as well as commercial mariners. * Seminar does not qualify you for the U.S. Sailing onshore racing requirements for the 2017 Newport to Bermuda Race. Capt. Henry E. Marx is owner and President of Landfall Navigation, which he purchased in 1982 after many years in the corporate world in management and financial positions. Landfall Navigation offers a worldwide Nautical Chart, Publications, and Navigation Instrument Inventory; a large Maritime Technical Library; a full line of Marine Safety Equipment; a Referral Service for Delivery Captains; and Navigation and Marine Safety Seminars as well as Onboard Instruction. An experienced blue-water sailor Capt. Marx has sailed and raced for over 40 years on the east and west coasts of the United States, Southern coast of Norway and the Caribbean. He has served on a Norwegian Flag Oil tanker as a Seaman and his military service was in the U. S. Naval Reserve in Diesel Submarines. He continues to deliver private yachts, with his longest yacht delivery bringing a 50-foot trawler yacht from San Francisco, CA to Stamford, CT via the Panama Canal in 1981. In 1992-94, Capt. Marx served on the Committee on Nautical Charting of the Marine Board division of the National Academy of Science reviewing NOAA chart making. In 2006, he was elected to membership in the Storm Trysail Club and in 2010 was elected to the Cruising Club of America. Will Keene, President of Edson International since 1989, has been active in the marine industry for over 30 years. Along with brother Hank, the Keenes are second generation owners of one of Massachusetts’ oldest continually operating businesses, with beginnings in 1859 in Boston, manufacturing hardware for the active New England fishing fleets. Actively involved in the marine industry on a national level, Will has served on the Board of Directors of the NSIA (National Sailing Industry Association) and moved to the Board of Directors of Sail America when those two industry associations merged. Will has served on NMMA’s Facility Development Committee, NMMA’s Accessory Manufacturers Board, and was Sail America’s representative on the NMMA Board of Directors. An avid boater, sailor and fisherman, Will enjoys spending time on his home waters of Buzzards Bay, MA with his wife Franny. They make their home in South Dartmouth, MA and spend their summers exploring the waters of New England and beyond. Edson International, celebrating its 154th year, manufactures an extensive line of marine steering systems and accessories, boat davits, radar towers and marine pumps for sail and powerboats. Capt. Mark Bologna is a USCG licensed Captain and has been the Marine Safety Specialist and Commercial Sales Director at Landfall Navigation since 2007. He has over 35 years of boating and fishing on the Long Island Sound and 10 years experience operating private marina facilities. Pete Seidler served 34 years in the US Coast Guard in a variety of assignments including command of two Coast Guard cutters where he was engaged in numerous search & rescue, maritime law enforcement and national defense operations. In addition he taught ship handling, seamanship and leadership at the U.S. Coast Guard Academy in New London, Ct. In 2007 he retired from the position of Staff Judge Advocate for the Coast Guard’s Atlantic Area commands. Pete currently works as an Emergency Medical Technician (enhanced) in the City of Virginia Beach. He has served as Training Officer for the Virginia Beach Volunteer Rescue Squad, the city’s largest rescue squad. He is an American Red Cross instructor for First Aid, CPR and Wilderness First Aid as well as an instructor for EMS safety. Jeff Orrock is the Meteorologist In Charge of the National Weather Service (NWS) Office in Wakefield. Jeff, a degree meteorologist graduating from Florida State University in 1994, has worked for the National Weather Service for 18 years. During his career, Jeff has served in NWS offices in Florida, Texas, North Carolina and Virginia forecasting and coordinating a wide range of events from hurricanes to tornadoes, winter storms and nor’easters. As a fellow boater in the Carolinas and lower Chesapeake Bay over the last 12 years, Jeff is both a user and forecaster of the marine forecasts helping him to better understand the challenges weather poses to boaters. Jeff, a Virginia native from Richmond and the Tidewater, moved back to the state in June of 2011. Tom serves as the Deputy Director of Agency Outreach, as well as the State Boating Law Administrator for Virginia. The Agency Outreach division is the primary outreach element for the Department of Game and Inland Fisheries which includes: the Information & Education section, the Recreational Safety section, and The Boating Titling & Registration/Customer Service section. Agency outreach is also responsible for media relations, public relations, and marketing. In his role as the State Boating Law Administrator, Tom represents the Commonwealth on a state, regional, and national basis to ensure Virginia’s collaboration and participation on boating safety laws, issues, and policy are being addressed nationally. He is the primary liaison with the U. S. Coast Guard, U. S. Coast Guard Auxiliary, U. S. Power Squadrons, Virginia Marine Trades Association, Virginia Marine Resources Commission, Virginia Safe Boating Alliance, National Association of State Boating Law Administrators (NASBLA), National Safe Boating Council, other state/local governments, and boating safety partners. Tom began his career with Department in June 2008 after retiring from a 21-year career with the U.S. Coast Guard, with his last assignment as the Officer in Charge of Coast Guard Station Milford Haven in Mathews County. Tom spent the majority of his Coast Guard career conducting law enforcement and search and rescue operations on the water and running small boat stations. He spent 8 years on the Outer Banks of North Carolina, 5 years in Alaska, and 8 years in Virginia although not consecutively. Tom earned a BS in Criminal Justice and an MS in Leadership, both from Southwestern College Winfield, KS. He is currently working on a MA in Theological Studies through Liberty University in Lynchburg. Captain Ben Schill is one of 49 licensed harbor pilots in the Commonwealth of Virginia and is a member of the Virginia Pilot Association, which provides 24/365 pilotage service to vessels of all types transiting waters of the Commonwealth in all weather conditions. The vast majority of these vessels are foreign flagged and crewed. Ben began his 6 year apprenticeship in February 1999 and today pilots vessels, including U.S. Navy aircraft carriers and submarines, on the waters of the lower Chesapeake Bay, Hampton Roads and its tributaries, as well as on the York River. His state pilot license is paralleled by federal pilotage licenses, including Inland Master of Unlimited Gross Tonnage, and a Radar Observer Unlimited Endorsement. An active member of the Virginia Pilot Association, Ben has served 2 terms on the board of directors and has managed pilot operations at the radar and communications tower at Cape Henry, including modernizing and renovating the tower, which is jointly operated with the Association of Maryland Pilots. He also serves on the boat safety committee, which implements equipment and training standards for the crew operating the association’s 6 pilot boats. In addition, he served on the Norfolk Propeller Club board for 4 years. As part of his continuing education, Ben has completed manned model shiphandling training courses at Sogreah Consultant’s Port Revel Shiphandling Center in St Pierre de Bressieux, France, Massachusetts Maritime Academy, Maritime Pilots Institute in Louisiana, and the Maritime Institute of Training and Graduate Studies in Maryland. Prior to training as a pilot, Ben worked for American stevedoring subsidiaries of the Danish AP Moeller/Maersk Group at the ports of New York/New Jersey, Baltimore, Norfolk, Miami, Oakland, and Long Beach. He began his maritime career in his hometown of Charleston, SC with Turecamo Maritime, a harbor and coastal towing firm, and is a graduate of the College of Charleston. Ben lives in Norfolk, Virginia, with his wife and twin daughters, and is an avid photographer. Both programs are sponsored by Landfall Navigation which incorporates the latest techniques and information available.